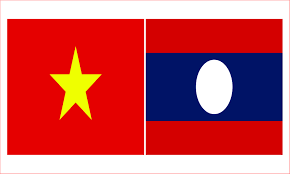 Vientiane (VNA) – Laos and Vietnam should step up their relations and cement their special solidarity in the context of unexpected and complicated global situation, General Secretary of the Lao People’s Revolutionary Party and President of Laos Bounnhang Volachith has said. He was speaking at a reception for Chairman of the Vietnam Presidential Office Dao Viet Trung and a delegation from the office in Vientiane on April 5. Trung informed his host of the outcomes of the talks with his counterpart Khammeang Phongthady on April 4, saying both offices agreed to continue cooperation and experience sharing to better serve the respective countries’ leaders. Bounnhang Volachit spoke highly of the affiliation between the two presidential offices, and affirmed that that affiliation will contribute to enhancing the two countries’ traditional friendship, special solidarity and comprehensive cooperation. He said he expects the offices will ratchet up close coordination to accomplish assigned tasks and help foster the bilateral special relations.